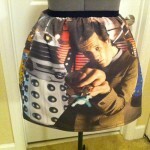 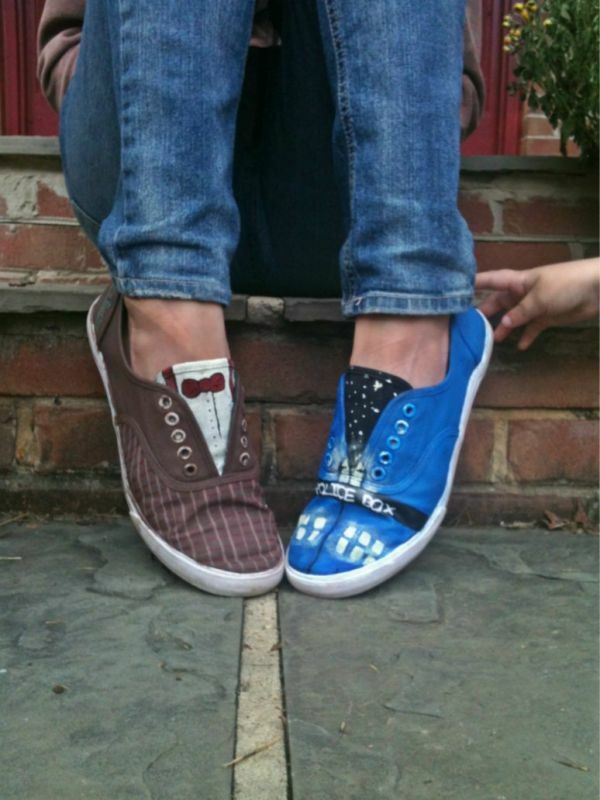 Bow ties might be cool, but bow ties and a TARDIS on your feet is fantastic! 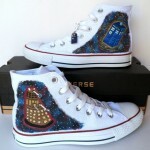 I’m not one for wearing cool things on my shoes (primarily because I work in a very filthy place and I don’t want them to get nasty), but I would imagine some of you are Doctor Who fans who would love to wear some sweet Doctor Who shoes! 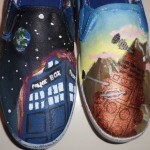 Etsy seller TooCrazyGirlz is selling these fantastic 11th Doctor and TARDIS shoes on Etsy for $40. 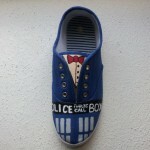 They appear to have sold this morning, however they are made to order so you should be able to order a pair by contacting the Etsy seller. 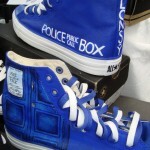 One bit of advice though, I doubt the TARDIS shoe will be bigger on the inside so make sure to order the correct size shoe for your foot.